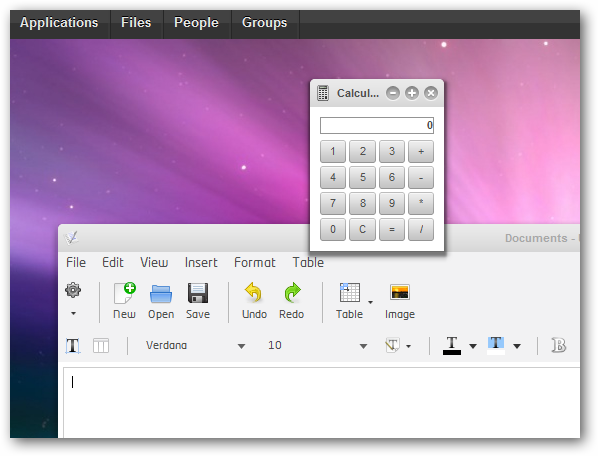 Cloud OS eyeOS is a Open Source Free Cloud Based Operating System. It can be installed on your local hard disk in very easy steps. In a previous article, we wrote the details of Cloud OS. In order to be able to install Cloud OS eyeOS, your PC or Mac needs to be configured like a server so that it can run Apache Server and LAMP. The easiest way is to install XAMPP for Windows PC and MAMP for Mac for running these. You can follow this tutorial on how to install WordPress on local hard disk using XAMPP. 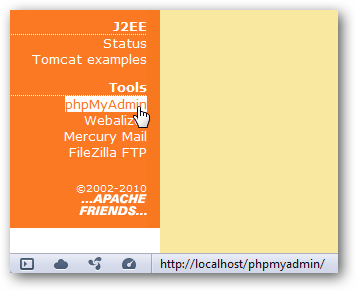 If you are following that tutorial to install XAMPP, do up to the sentence “Now click on phpMyAdmin in the left column under Tools. We have placed the cursor over the option in above screen shot.” in that tutorial. Cloud OS eyeOS is Open Source an free, there is an Professional Edition which is paid. 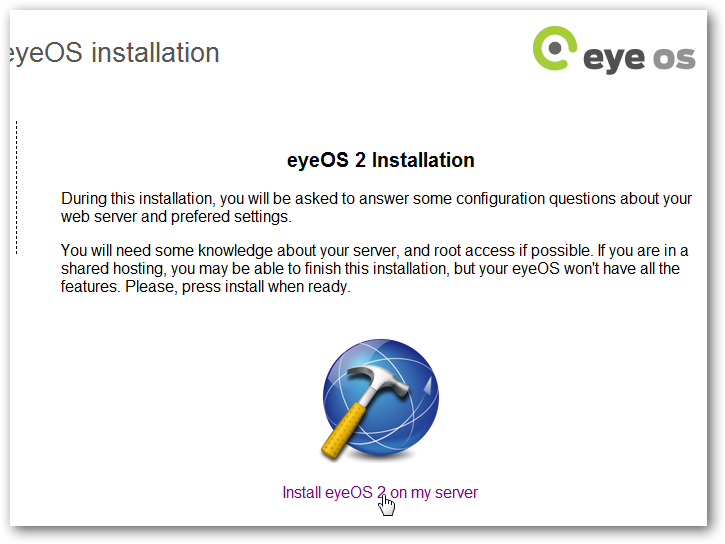 We will show installation of the Free Version of Cloud OS eyeOS in this tutorial. Download Cloud OS eyeOS from this link. After downloading, extract it (1). Close the window. Open the browser. Put only your password. Keep everything as default (Ha ha…I am so clever! ), click next and within few seconds your installation will be complete. This Article Has Been Shared 4847 Times! I,would like to know whether the above steps are same for the Wamp server also? Almost same. WAMP or any software like XAMPP basically giving you AMP on Windows – Apache, MySQL and PHP. We need these three. 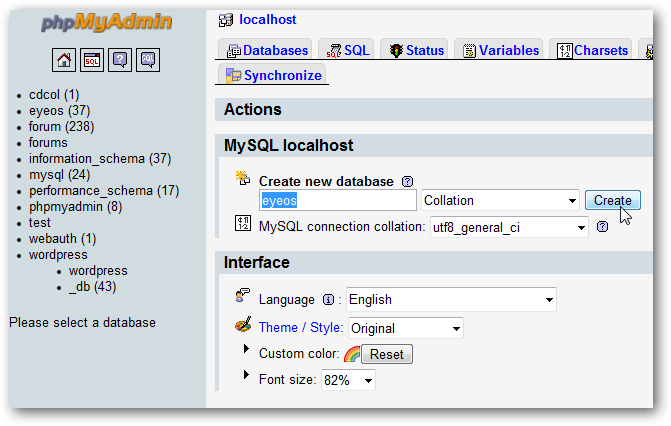 For online server we will always need LAMP – Linux, Apache, MySQL and PHP. so what should i do..? 1. 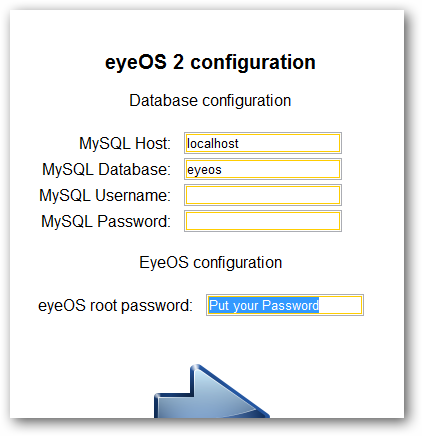 The username and password combination for the database name ‘eyeos’ (of MySQL or MySQL management software PHPMyAdmin) is wrong or database name ‘eyeos’does not exists. 2. The OS also is a factor. All instructions is usually written for Red Hat or Cent OS. For Ubuntu the troubleshooting is different. It is not possible to answer in one line without knowing whether you have root access, what the OS is etc. Try to create a new database with different name, username and password. Make sure while creating the database you are allowing all privileges. After installation i got a white screen on which “There is an error in this eyeOS installation, please contact the system administrator” only this much is written. Which version and on which OS ? Go to Github and search for the old versions. Officially there is no more Free version. There is enough chance they changed few codes for the last one to non working. They basically deleted all the official old versions. 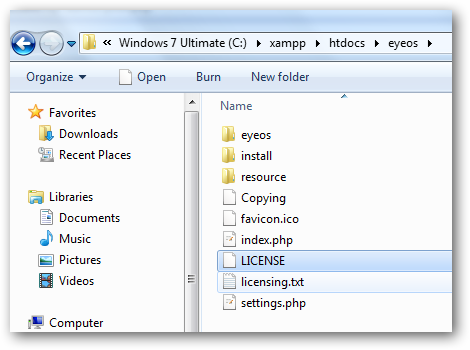 Cite this article as: Abhishek Ghosh, "Cloud OS eyeOS – Install on local Hard Disk under Windows 7 or Mac," in The Customize Windows, September 19, 2011, April 25, 2019, https://thecustomizewindows.com/2011/09/cloud-os-eyeos-install-on-local-hard-disk-under-windows-7-or-mac/.